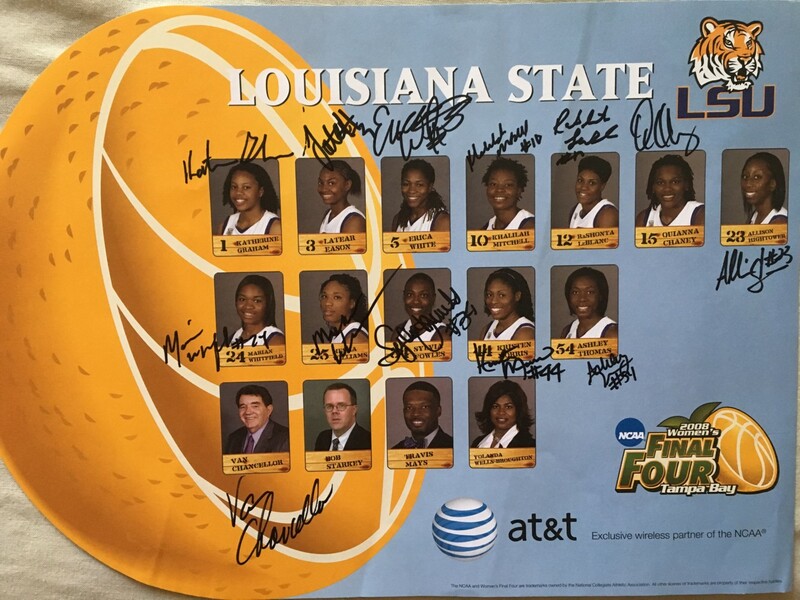 11x15 inch LSU Tigers team mini poster distributed exclusively at the 2008 NCAA Women's Final Four in Tampa Bay, autographed in black marker by head coach Van Chancellor and all 12 of the players from the 2007-08 team including star Sylvia Fowles for a total of 13 signatures. 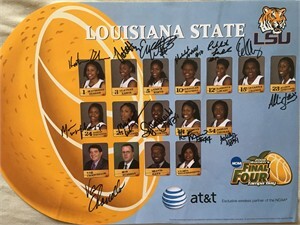 Obtained in person at team signing, with certificate of authenticity from AutographsForSale.com. HAS MINOR HANDLING FLAWS AND WEAR. ONLY ONE AVAILABLE FOR SALE.